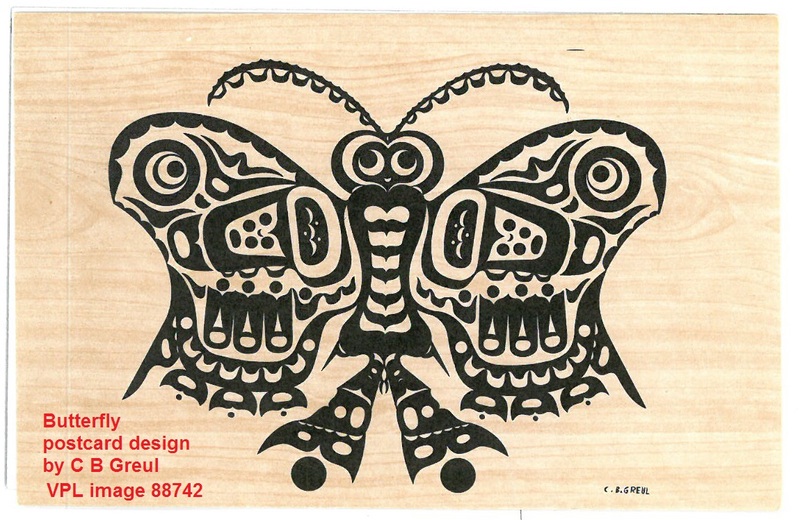 This postcard design is by CB Greul, a successful Vancouver lithographer and designer in the 1960s, not a First Nations artist. 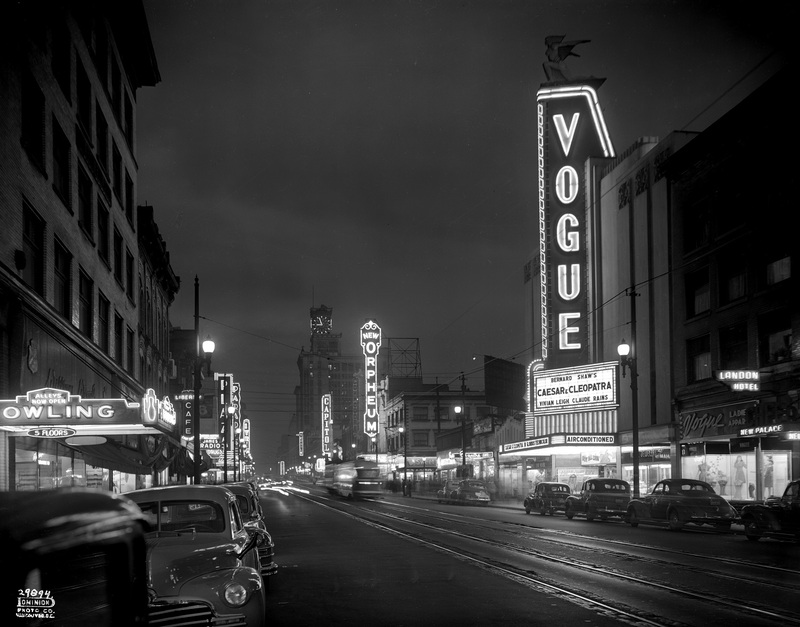 The next Vancouver Postcard Club meeting will be Sunday, September 10, 2017. Doors open at 11:30 am for trading, with the presentation beginning shortly after noon, and the meeting wrapping up by 2 pm. 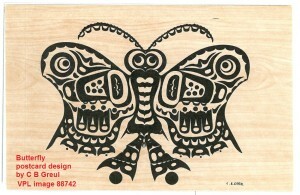 Our speaker will be Anne Dodington from the Vancouver Public Library’s Special Collections. She’ll be showing us photographic gems from the collections, including “Indian Art” postcards from the 1960s and a selection of popular favourites from the Library’s Historical photograph collection. 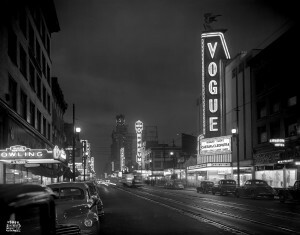 A Dominion photo from 1946 of Theatres on Vancouver’s Granville St., one of Vancouver Public Library’s most requested images.